An antivirus software is essential to protect Windows from nasty stuff like ransomware, viruses, trojan, malware, adware, etc. Though Windows has a pretty good built-in antivirus software called Windows Defender, for some, it is pretty basic and not as effective as other dedicated software. Of course, if you know what youHow to Uninstall Antivirus Programs in Windows 10 are doing and follow the best practices, Windows Defender is quite enough. Recently, Windows Defender even got an upgrade with its own sandbox mode. Most, if not all, use some sort of third-party antivirus software like Kaspersky, Bitdefender, Malwarebytes, etc., to better protect Windows. Generally, you should never use more than one anti-virus software. In case you are wondering when you install third-party antivirus, Windows Defender will be automatically disabled by Windows so as not to interfere with the other antivirus software. Antivirus is a complicated piece of software. The software links pretty deeply with Windows system to protect it from threats. As such, it is not always an easy task to remove antivirus in Windows. Why Is It Difficult to Uninstall Antivirus Programs in Windows? As I said, antivirus software is a complicated software. Typically, Antivirus software developers try to make it as difficult as possible to remove the software from your system. This is done in order to make it harder for viruses and other threats to disable or uninstall antivirus without your knowing. Though hindering threats sound good, it also makes for a terrible user experience. Sometimes, it can make your system unusable. For instance, while uninstalling antivirus, you might face any number of problems like getting stuck, system crash, BSOD, leftover files, reboot loops, improper uninstallation, etc. To deal with it, antivirus software developers supply a removal tool to uninstall antivirus software from Windows. Using that specific removal tool, you can easily uninstall antivirus programs with just a few clicks. Each antivirus software has its own removal tool. I tried to gather removal tools for all the popular antivirus software. Click on the below quick navigation links to find detailed uninstallation instructions for your antivirus software. Before that, try to remove antivirus normally. i.e, go to "Control Panel -> Programs and Features". Windows 10 users can go to "Settings -> Apps -> Apps and Features". Select your antivirus application and hit the "Uninstall" button. Now, follow the wizard to uninstall antivirus. If it goes properly, you don't need to use the below removal tools. If it doesn't or if you think there are leftover files then find the relevant removal tool to completely uninstall antivirus in Windows. Depending on whether you are using the trial or paid version, Bitdefender provides with different uninstaller tools. Go to the official Bitdefender uninstall page, select the version, select the product type. i.e, antivirus, internet security, total security, etc., and download the uninstaller tool. 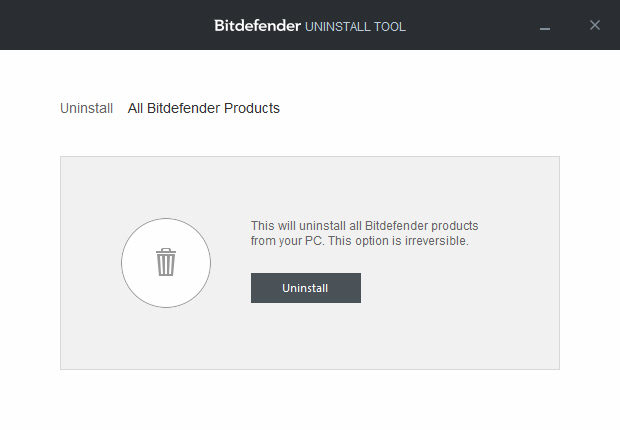 Once downloaded, open Bitdefender uninstaller tool and click on the "Uninstall" button. It will uninstall all the Bitdefender products installed on your PC. Unlike Bitdefender, AVG provides you with a straightforward tool called AVG Remover to uninstall any and all AVG software. So, download AVG Remover tool and run it. 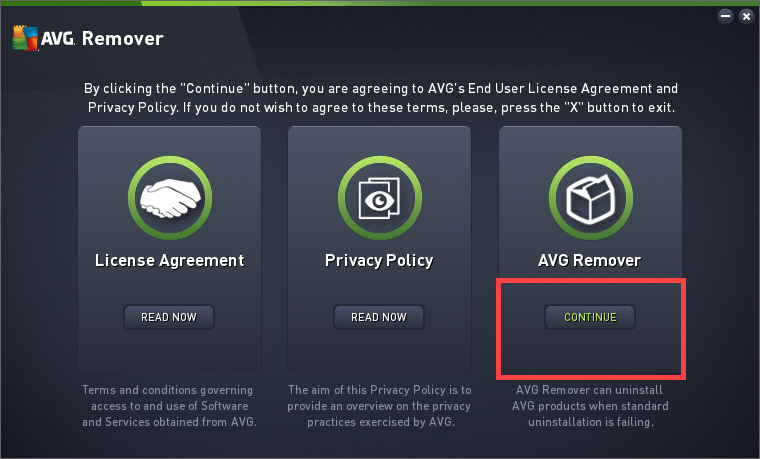 Click on the "Continue" button under "AVG Remover" section and follow the wizard to uninstall AVG antivirus and other AVG software. 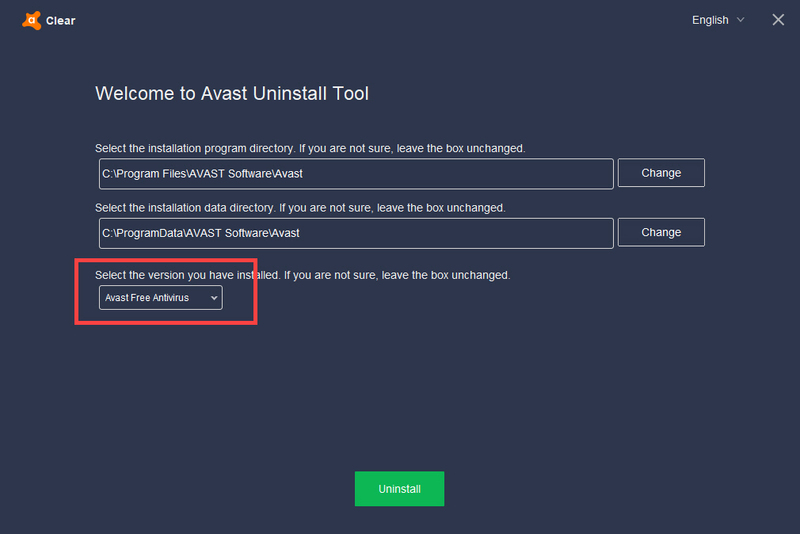 Avast also provides a good uninstaller tool to uninstall Avast antivirus and its other software. First off, download Avast uninstaller tool. Next, restart your system in Safe Mode. Quick tip: In Windows 10, press Win + X, go to "Shutdown and sign out" and click on the option "Shutdown" while holding the Shift key on your keyboard. In safe mode, navigate to the folder where you've saved the uninstaller tool and open it. Select which Avast product you want to uninstall from the drop-down menu. Now, click on the "Uninstall" button to uninstall Avast antivirus. Avira Antivirus has no proper uninstaller software. Instead, Avira provides a Registry Cleaner. 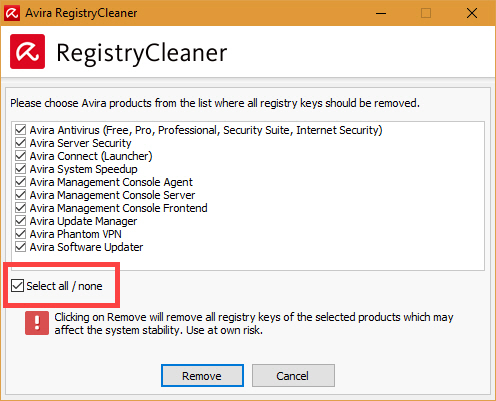 To uninstall Avira software, you have to manually remove all the related folders and then use the Avira Registry Cleaner to remove Avira related Registry keys. Thankfully Avira has detailed instructions on how to use the removal tool and how to delete its related folders. Follow those instructions and you should be good. Nortan provides Remover and Reinstall tool to uninstall Norton antivirus and all other Norton software. Head over to the official support page and download Norton Remover and Reinstall tool. Once downloaded, open the Norton Remover and Reinstall tool. Here, click on the "Advanced Options" link appearing at the bottom. 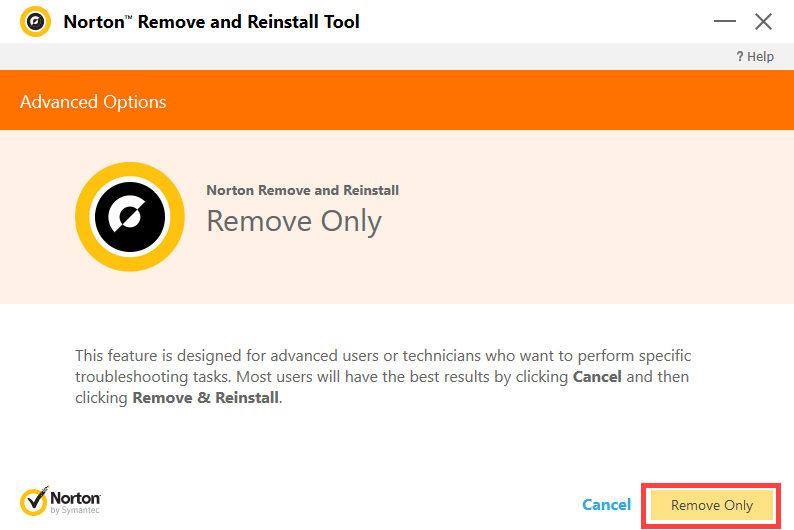 Now, click on the "Remove Only" button and follow the wizard to uninstall Norton software. Once uninstalled, restart your system to complete the procedure. To uninstall Malwarebytes Anti-Malware, download Malwarebytes Cleanup Utility and run it. There is no complicated wizard whatsoever, it is a one-click uninstaller. It automatically detects and removes the Malwarebytes Anti-Malware. Once removed, reboot your system. After rebooting and logging into your system, Malwarebytes Cleanup Utility will prompt whether to download and reinstall Malwarebytes again. Click "No" if you don't want to install Malwarebytes. 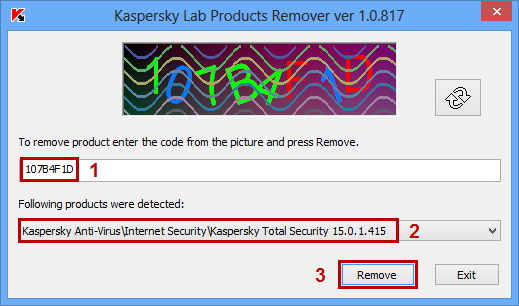 Kaspersky requires Kavremover tool to properly uninstall Kaspersky antivirus or any of its other software. Download Kavremover from the official site. Note: if you can't find the download link, it is because Kaspersky wants to make the task as difficult as possible by hiding the download link. Scroll down and expand "How to use the tool" section to find the download link. After downloading, run the application. Now, enter the captcha code, select the Kaspersky product from the drop-down menu and click "Remove" button. That is it. McAfee lets you properly uninstall its software using McAfee Consumer Product Removal tool or MCPR tool for short. Go to the official support page and download MCPR tool to uninstall McAfee antivirus. After downloading, run the application. Agree to the terms and enter the captcha. The removal tool will automatically detect McAfee software and uninstalls it. It can take a few minutes to remove McAfee. Sit back and wait while the removal tool is doing its thing. Once done, restart your system to complete the procedure. A full detailed guide on how to uninstall McAfee on Windows 10. To uninstall ESET, download ESET uninstaller, reboot your system into safe mode and run it. You will be prompted to confirm the action. Type Y and press Enter to continue. ESET will automatically detect all the installed ESET software. Just press the Enter button again to uninstall ESET software. For advanced users, ESET supplies advanced user commands. 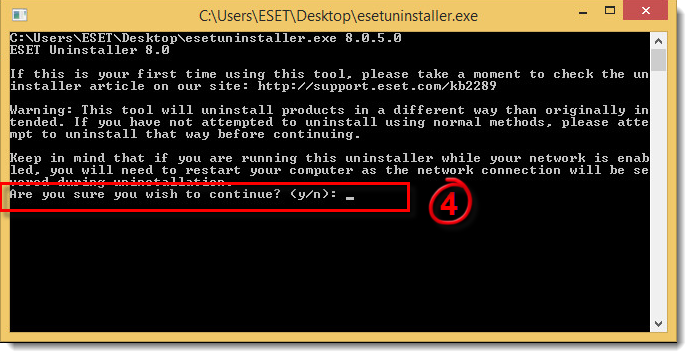 Use esetuninstaller.exe /help to see all the available commands. Uninstalling Panda Antivirus is very easy. Download the Panda Generic Uninstaller tool and run it. 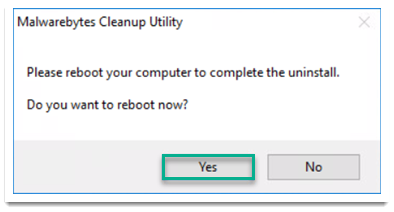 It will show a prompt telling you that the system will be automatically restarted. Click on the "Yes" button to continue. The tool will automatically detect the software and uninstalls Panda Antivirus. Once uninstalled, restart your system and you are done. Whenever you try to uninstall an antivirus software, you should consider using proper uninstaller software specially designed to uninstall that specific antivirus software. This ensures clean removal. Generally, most antivirus developers provide a dedicated uninstaller to uninstall antivirus software in Windows. So, even if the above list didn't cover the antivirus software you are using, a simple Bing or Google search will point you towards the proper uninstaller or removal tool. Alternatively, you can also contact your antivirus software support for detailed steps to remove it. If possible, let me know of any other anti-virus software and its uninstaller. I will add it to the list so that other users can benefit from it. Hope that helps. Comment below sharing your thoughts and experiences about uninstalling antivirus software in Windows.